Your words are as important as a warm blanket for a poor child on a cold night. This month’s featured translator works in two of the most widespread languages in the world: English and Modern Standard Arabic. 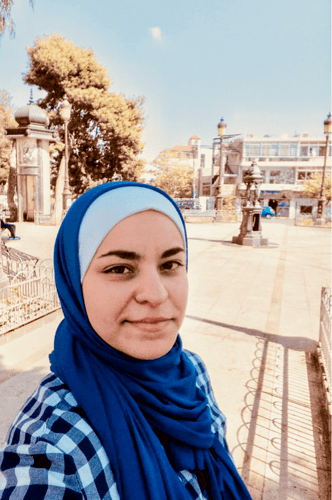 For Maysa Orabi, joining TWB made sense: she was eager to give a helping hand using her translation skills. By translating into two of TWB’s most common language pairs, English to Arabic and Arabic to English, she directly impacts the lives of many. Not only has Maysa translated more than 100,000 words for TWB, but she has also reviewed the quality of an additional 50,000 words of translation tests. They want to have a voice and they need to know they are being heard. The projects she handles for TWB have also developed her awareness of the world. In particular, she has worked on medical content for Wikipedia and articles for Internews. Those Internews articles showed her the difficulties faced by refugees and asylum-seekers trying to settle in a safe place: tumultuous legal procedures and regulations, uncertain futures, separation from family, an inability to work, and limited access to a proper residence. The translating and reviewing work that Maysa does deals with big languages, big issues, and makes a big difference. But its effect is immediate, even life-changing, on a personal level. Individuals and families have been given access to vital information that they might not have had, thanks to Maysa and our community of TWB translators. Congratulations Maisa for your love of translation and the people who need it so much, we translate translators without Borders (TWB) we love to translate not only professionally but also for humanitarian aid. Thank you gloriateixeira22. You are right, we translate because we feel that what we give by translating we take back by knowing we’re doing it for helping people have better lives.